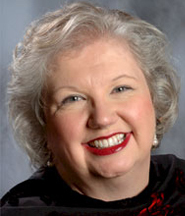 Liz Curtis Higgs, award-winning speaker, best-selling author, Bible teacher and radio personality, has inspired audiences world-wide. Gifted with deep spiritual insights and a generous helping of humour, Liz provides a refreshing experience in personal Bible study for women.In 1995 she received the Council of Peers Award for Excellence, becoming one of only thirty women in the world named to the Speaker Hall of Fame by the National Speakers Association.Feature articles about Liz have appeared in more than 250 major newspapers and magazines across the United States, and she has been interviewed on more than 600 radio and television stations, including Focus on the Family and Janet Parshall’s America.Liz has written 26 books with over three million copies in print. Among her best sellers are Bad Girls of the Bible and Thorn in My Heart. Her children’s Parable Series was awarded the ECPA Gold Medallion for Excellence in 1998, and her non-fiction book, Bad Girls of the Bible, received an ECPA Gold Book Award in 2004 for sales of more than 500,000 copies. Mixed Signals was a 2000 RWA RITA Finalist in two categories: Best First Novel and Best Inspirational Novel. Bookends was a 2001 Christy Award Finalist for Best Contemporary Fiction. Her four historical novels have all appeared on the Christian Fiction best-seller list, and Whence Came a Prince won the 2006 Christy Award for Best Historical Fiction. Her four historical novels have all appeared on the Christian Fiction best-seller list,and Whence Came a Prince won the 2006 Christy Award for Best Historical Fiction, while Grace In Thine Eyes was a 2007 Christy Award Finalist and nominated by the Library Journal’s Annual List as one of the top five Christian Fiction books for 2006.In addition, Liz is a columnist for America’s largest Christian women’s magazine, Today’s Christian Woman, with her feature Women in the Word, and more than 3,500 churches in the United States are using her 2004 video Bible study series, Loved by God. A prolific songwriter and dynamic singer, Babbie Mason writes her own songs and powerfully communicates each one. Her inspiring performances have commanded repeat appearances from television to concerts and conferences worldwide. She has performed for such distinguished personalities as Billy Graham and Presidents Ford, Carter and Bush.Babbie Mason is well-known for both her song writing and her vocal prowess. 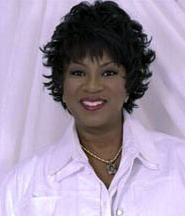 America’s most notable gospel music artists, such as Larnelle Harris, CeCe Winans and the Brooklyn Tabernacle Choir have recorded her songs. She has been the recipient of numerous awards, including two Dove Awards, and has received numerous nominations for the Grammy and Stellar Awards.Her voice is golden and her enthusiasm is contagious.